Got January beauty blues? Here’s some items to refresh your skin after all that festive partying. STRESS, alcohol overload and hormones can wreak havoc even on the best of skins, so it’s always worth knowing a great product which can tackle spots straight away. 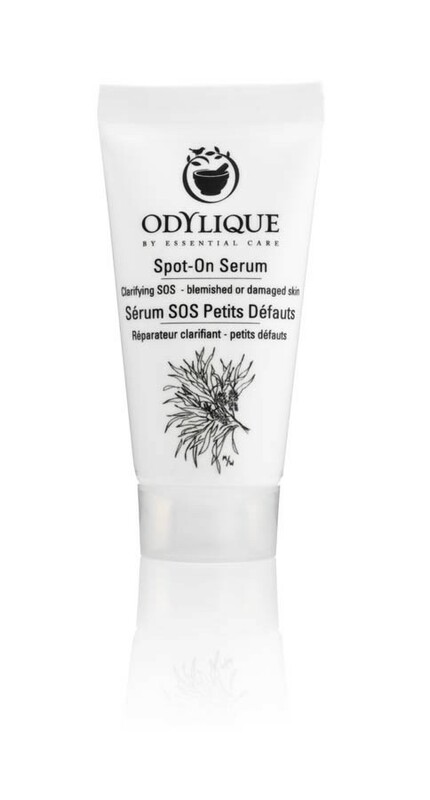 One of the best quick-fix treatments I’ve discovered for blemishes is Odylique Spot-On Serum, £15, which I found reduced both the size and redness of my spots overnight. This 95 per cent organic serum is packed with superpower botanicals and is designed to aid the repair of blemishes, breakouts, minor skin damage, stings or bites. It has a potent blend of anti-microbial Lavender, Tea Tree and Echinacea, along with repairing and calming Aloe Juice and soothing Calendula, which I found to be gentle but quick to clear up spome pesky spots which had been around for way too long. This product is genius and is great for skin emergencies. IT is widely known that harmful urban pollution can cause significant danger and premature ageing of the skin. So that’s why it’s ultra important to make sure you get down to the nitty gritty and do a double-cleanse at the end of the day. Cleansing creams are ideal for taking off makeup when combined with using a muslin cloth, and the latest cleanser from Clarins is set to be a saviour for all skin types. 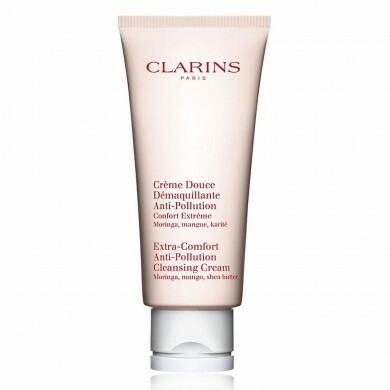 Clarins Extra Comfort Anti-Pollution Cleansing Cream is a rich product which penetrates the skin deeply, helping to restore radiance and softness whilst eradicating all traces of pollution. Comtaining extracts of purifying Moringa and nourishing Shea and mango, this feels luxurious and non-abrasiive and leaves the face looking clear and youthful. You can see results instantly and within one week skin will feel more nourished and look clearer. Follow this with a foaming wash for greater results. My go-to cleanser for 2014. IF you follow one beauty rule for 2014, it should be wearing an SPF everyday to prevent the signs of ageing. Supermodels, celebrities and beauty role models all round swear by it, and you’ll be thanking that SPF for your Jennifer Aniston-esque wrinkle-free skin if you start now. All skin types benefit from the UVA/UVB protection of zinc oxide in a base that allows for all-day wear. The best way to get this without using a greasy SPF which can cause spots is through an organic moisturiser which contains protection. My secret beauty weapon for daytime right now is Aubrey Organics SPF 15 Defense Moisturiser, which contains golden seaweed and chlorophyll-rich organic blue green algae to firm, detoz and renew skin and protect it from oxidation. This is a light moisturiser which can be worn as a base under makeup for the entire day. Perfect for oily skin types. USING a face mask not only feels like a treat, but also helps to transform skin in ten minutes flat. Skincare experts recommend you use a mask two times a week to help boost the complexion and deeply cleanse the skin. Try using one containing Vitamin C such as Bravura Anti-Oxidant Vitamin C Masque, which helps stimulate collagen and visibly brighten the skin after just one use. This is great for adding a moisture boost during the winter weather and helping to reduce fine lines and wrinkles by increasing skin elasticity.